It is a solid real estate market. The Coconut Grove single-family home market is as strong as it ever has been. The combined effect of a steady purchase market, a large number of sales due to close, and slightly fewer homes available for sale will generate an uptrend in the market during the summer months. Almost the same number of homes have sold this year compared with this same time last year. The most expensive home sold so far in 2018 has been a 5-bedroom/5-bath waterfront estate with 18,000+ sq. ft. of living space, which sold for $19,750,000. The most inexpensive home sold so far in 2018 has been a 2-bedroom/1-bath house with 998 sq. ft. of living space, which sold for $225,000. Thus far in 2018, 43% of homes sold have been below the $1 million price point, 32% between $1 million and $2 million, 14% between $2 million and $3 million, and 11% above the $3 million price point. Additionally, the inventory of homes for sale is stable, with 158 homes available in July 2018 (worth a total value of $380M), which is slightly fewer than the 162 homes that were available in July 2017 (totaling $391M). As of this writing, 35 home sales are due to close during the next 2 months with a total value of $49M. 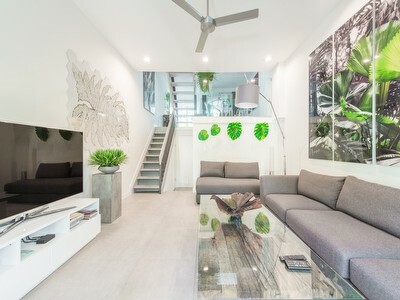 All these indicators point to a strong and steady Coconut Grove market. If you would like a more in-depth analysis, please contact us for our latest data. All data represented is deemed reliable, but is not guaranteed. Imagine waking up and gazing out to sweeping water views, hearing the sound of Biscayne Bay and its wakes, and feeling the breeze that gently ruffles the palm trees. This 2 bedroom, 2 bath condo will make that dream a reality. A rarely available unit with direct water views in Port by Water – a Coconut Grove small boutique building containing only 10 units – is now for sale. The only thing between you and the bay will be a beautiful deck. Many features, such as direct access to the unit from the elevator, two extra large balconies that are combined and offer spacious outdoor lounging/dining perfect for entertaining guests, glass doors that open to nature’s beauty and allow the golden light to shine through, and an expansive living area, make this property truly desirable. Days can be spent soaking up the Florida sun by the pool. Located in a very peaceful neighborhood where traffic noise is nonexistent, but still having the added benefit of being a few minutes from the Grove Village, parks, and downtown Miami. You can have it all in this South Coconut Grove home! This impeccable home offers 3 bedrooms, 2 bathrooms, a formal living room, dining room, and family room. The rooms are expansive and bright. The home has beautiful wooden floors, a small garage, and a backyard. It can be rented for either $4,500 for 6 months (furnished) OR $3,950 for 12 months (furnished or unfurnished). Pets are welcome (with the exception of cats). And it is only one block from Merrie Christmas Park. 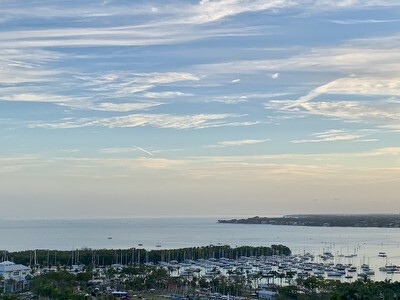 A 1 bedroom, 1.5 bath condo in the famous Yacht Harbour, Coconut Grove. This condominium offers private tennis courts, a large pool, the luxury of being located across from the sailing club, and only one block from the Coconut Grove Village. Imagine dining al fresco on your large balcony with beautiful water views of Biscayne Bay. This property will be a shining star among the Coconut Grove luxury condo market, alter its renovation.